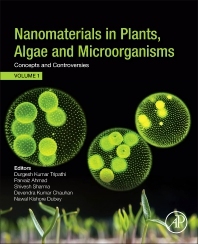 Nanomaterials in Plants, Algae and Microorganisms: Concepts and Controversies: Volume One discusses the vast amount of nanomaterials that have been released into the environment in a relatively short amount of time. There is a need to understand what the implications to the health of our biota and ecosystems are as the earth is increasingly inundated with these materials. Not all of the effects are negative, but their impacts are increasing exponentially due to their size, quantity and other factors.